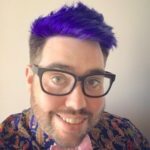 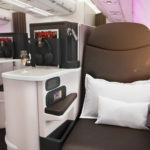 Last time we checked in with Virgin Atlantic’s then-newly-leased ex-Airberlin Airbus A330-200s back in January, the airline had just hit on a genius way to, as vice president customer experience Daniel Kerzner puts it, take the lemons you have and make sparkling lemonade out of them. 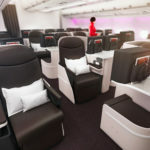 But after a couple of quarters in service, and in the context of yet more issues with the Rolls-Royce Boeing 787 Dreamliner engines, the airline is adding new ZIM premium economy seats into the mix, Virgin-ising the economy class cabin, and using original seatmaker Stelia’s help to update the Solstys staggered fully flat beds to a much more Virgin aesthetic. 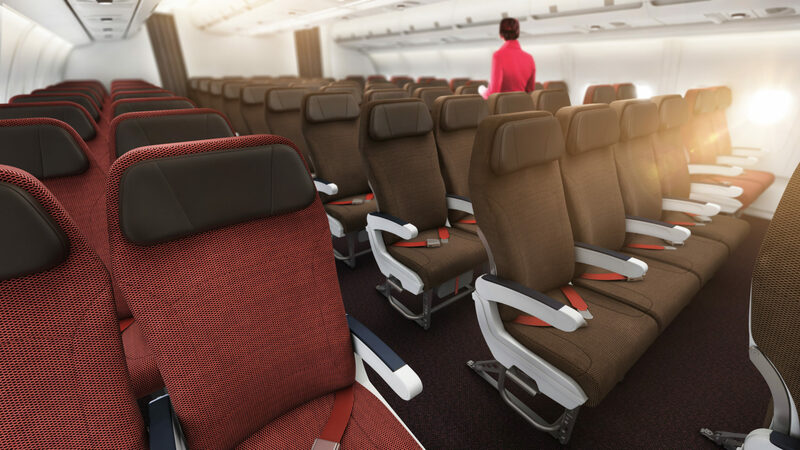 Up front in Upper Class, “it’s a brand new seat and we have added our material trim and finish spec to the plastics, laminates and fabrics. 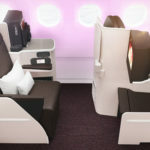 The IFE remains the Zodiac RAVE solution,” Holding says. 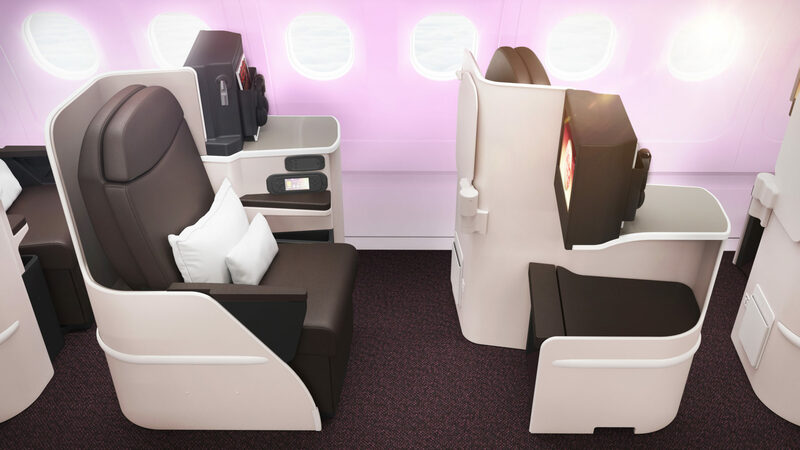 Part of that flair is a double-down on the triple-branding of the staggered configuration as “Solo Freedom” (aisle-adjacent), “Solo Corner” (window-adjacent) and “Love” (centre pairs) suites. 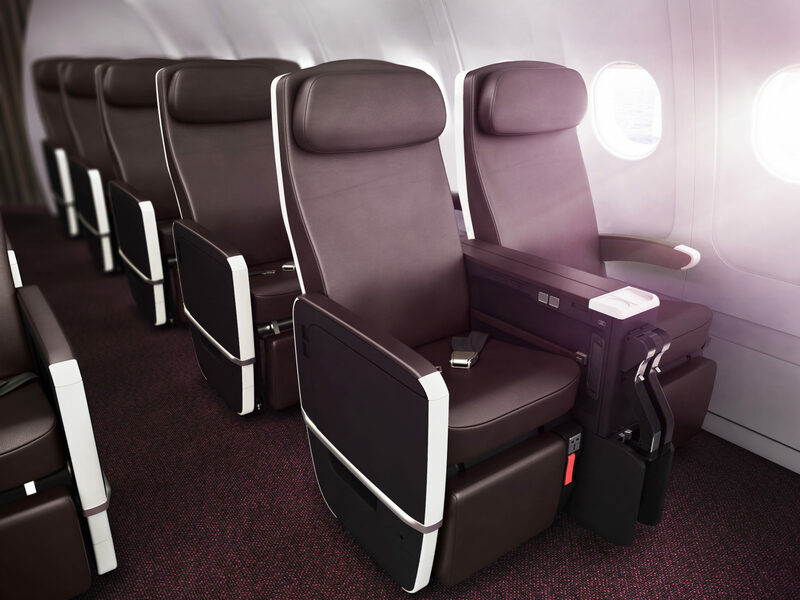 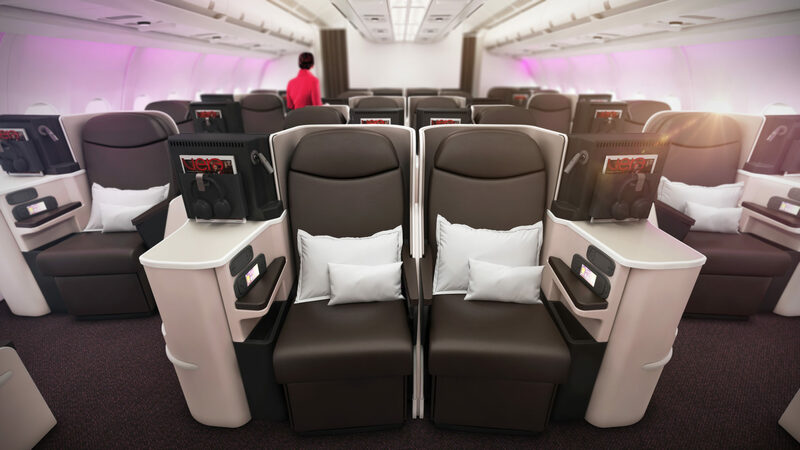 In premium economy, Holding says, “ZIM is the supplier and it is the ZIM Magic product.” Thirty-five seats will be pitched at 38”, and the look and feel brings the cabin in line with the remaining product on board. 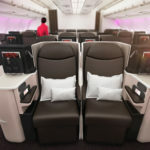 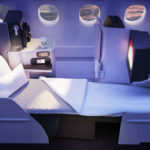 Economy, too, sees a “refreshed” Virginesque product in reds and chocolates, and given the extra seat width available on board an A330 compared with the 787 they’re replacing, they’re a pleasing upgrade for passengers down the back on these cost-conscious routes. 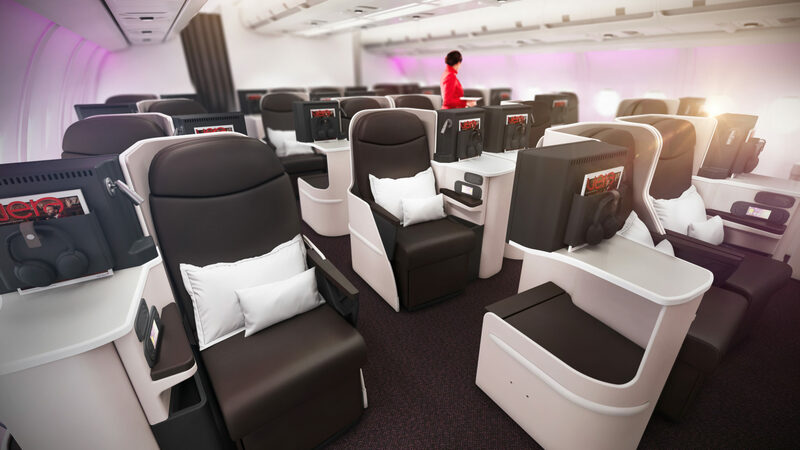 The wider cabin, too, sees a refresh, bringing together mood lighting, curtains and carpets, plus refreshed bathrooms and wall finishes. 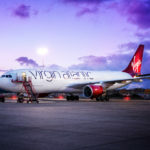 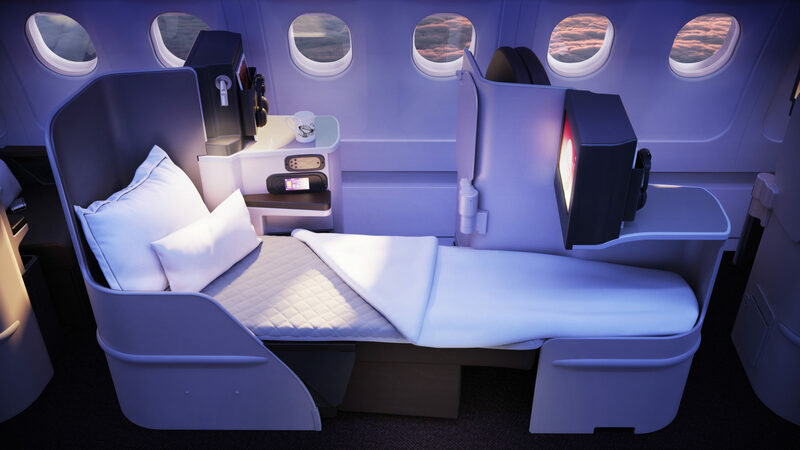 From an industry perspective, it’s impressive how speedily Virgin Atlantic and its suppliers have been able to turn around these changes, which will start rolling out this coming November. 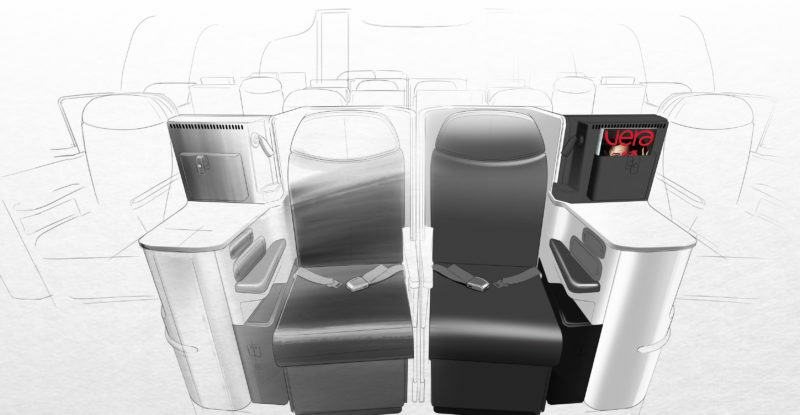 Part of that turnaround reflects the airline keeping the functionality of the seat. 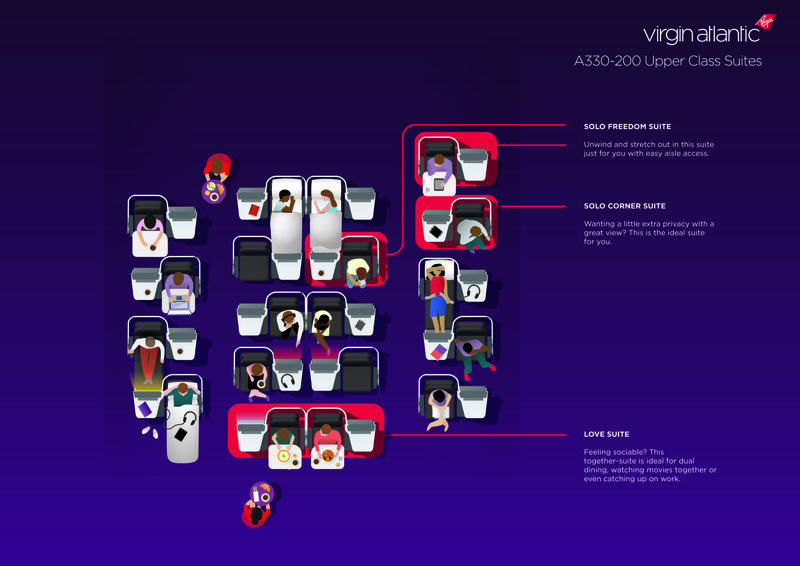 Holding confirms that Virgin hasn’t changed the way the legrest, controls, power, USB or IFE are provisioned. 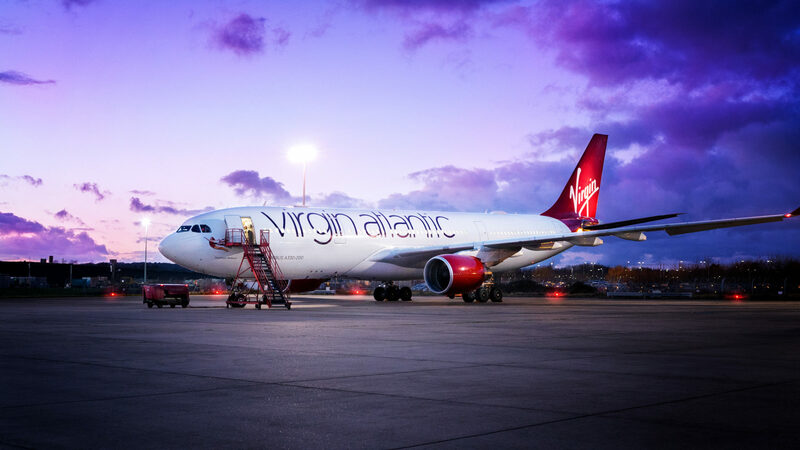 But the carrier’s agility in recognising the opportunity it had with these ex-Airberlin widebodies, and making the most of it is noteworthy. 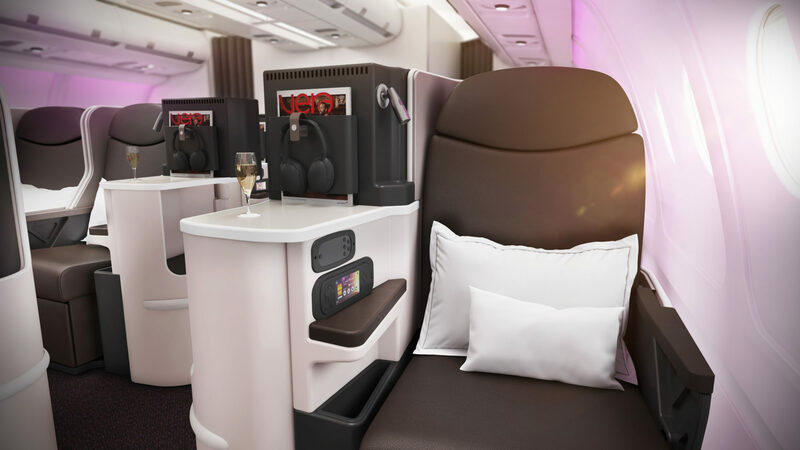 Not all airlines so heavily affected by the Rolls-Royce 787 engine débacle have been so perceptive or so responsive.